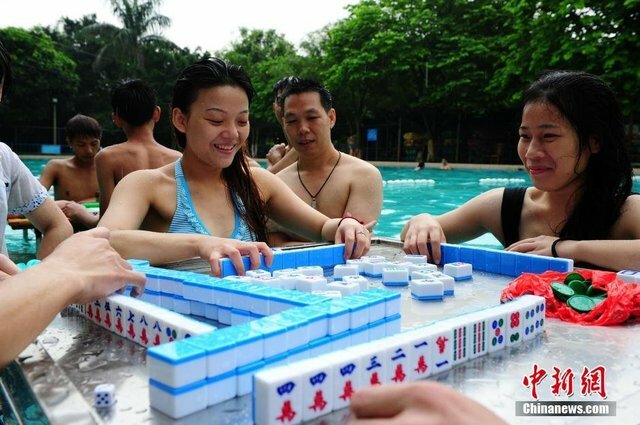 SWIMMING WITH (MAH JONGG) SHARKS! 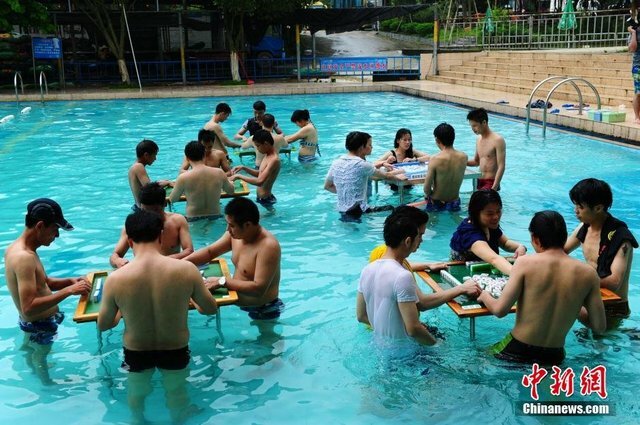 Looks like those swimming pool Mah Jongg players in Foshan have started a trend! 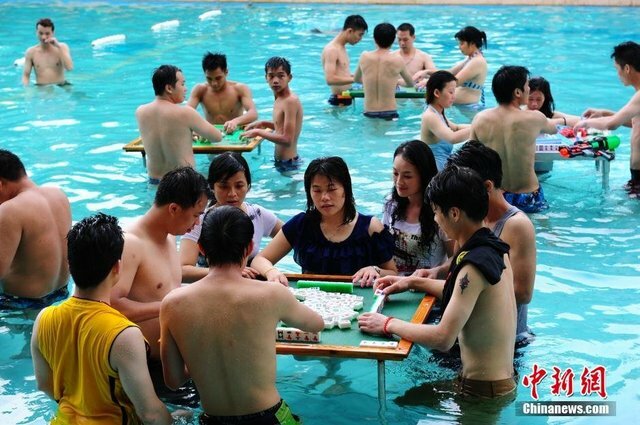 A scenic spot called Qiu Dao Valley in Foshan has taken it to the next level by holding an entire Mah Jongg tournament in their swimming pool, Chinanews.com reported. According to the general manager, more than 100 tourists entered the first competition, and the preliminary contest would last till the end of August. All tourists can join and every winner in the preliminary contest will receive a prize. During the final, the first-place winner will be awarded 5000 yuan, the two second-place winners will be given 1000 yuan each, and the three third-place winners will each receive 500 yuan. 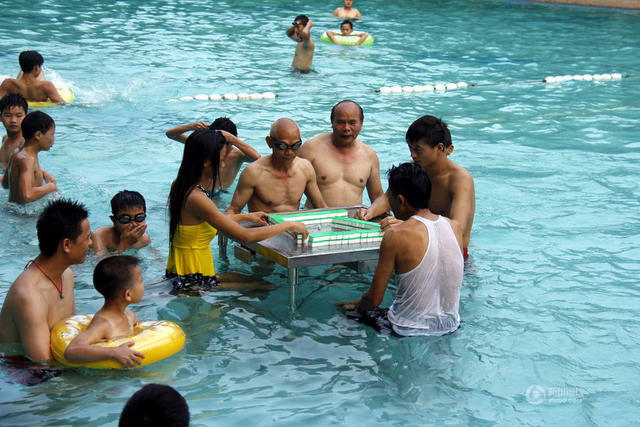 Check out these residents in Foshan City, Guangdong playing Mah Jongg in a swimming pool. They considered it a great way to cool down under such a scorching weather as well as entertain themselves, Xinhua News reported. Seeing how sultry it gets in Shanghai, we kind of envy them. 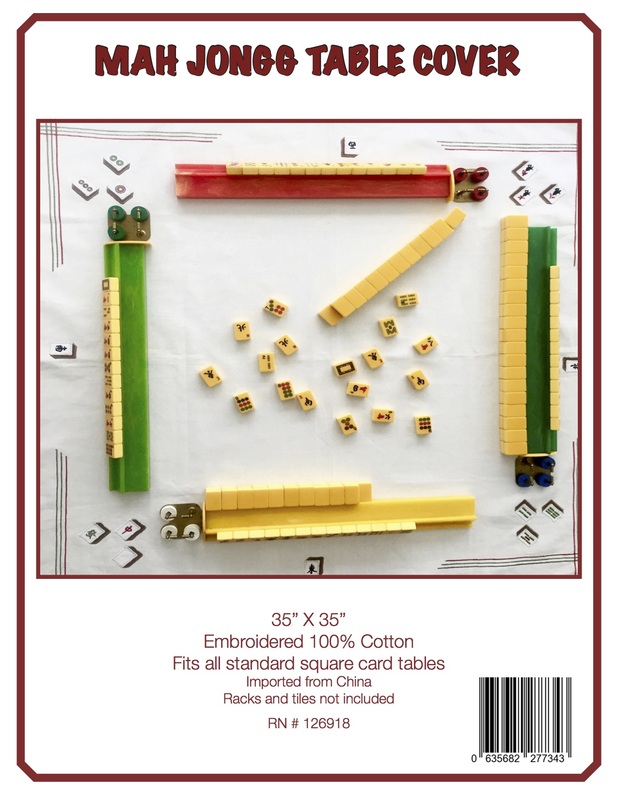 So, along with that great deal on the gold glitter 2014 Year of the Horse Mah Jongg set, all those other goodies that have not been available for a while will soon be back on Lynn’s website – keep checking! This entry was posted in Mah Jongg and Me and tagged 2014 Year of the Horse, China, chinanews.com, Foshan, gold glitter, mah jongg, New York City, Qiu Dao Valley, Shanghai, swimming pool, where the winds blow, Xinhua News on September 9, 2014 by Mah Jongg and Me. guys would take it up here. My husband is becoming a MJ widower, but he loves to see me having so much fun. Looking at the mahj hand in the first picture, where our numbers are written from Left to Right, it looks like the Chinese numbers go from R to L, Is that true? Who knows; I’m curious. Or maybe they all speak Hebrew? …. Ha! I know their newspapers are written in vertical columns. …On getting our men to play mahj: some of us have tried repeatedly, to no avail. A prize goes to those who can come up with a successful plan. I’d love to know how many of our male counterparts do play Mah Jongg. For the OMs, I think three of the husbands have attempted to learn the game – one of them is actually getting quite good. Hi Diane – wow! I clearly need stronger glasses – I am totally impressed that you are able to read the numbers in the first picture! I did get a good laugh out of the suggestion that perhaps they speak Hebrew! 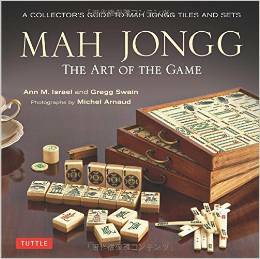 Love the term, “Mah Jongg widower”!!! And what a doll he is, loving to see you have so much fun! And as soon as you install those tables, give me a call and I will be there!